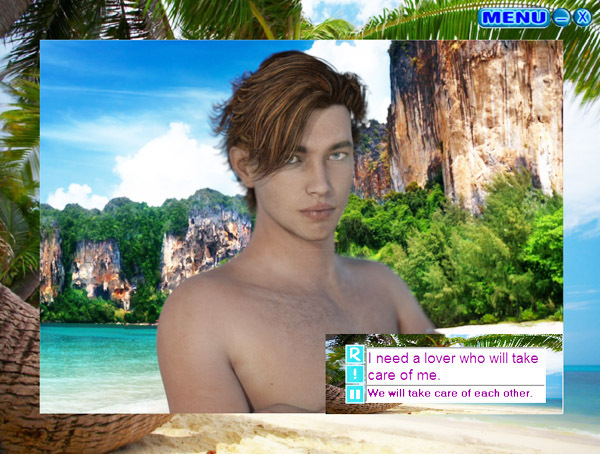 Welcome to the home of the Virtual Boyfriend. NEW Sergio 4.7. Advanced Virtual Boy with Artificial Intelligence. 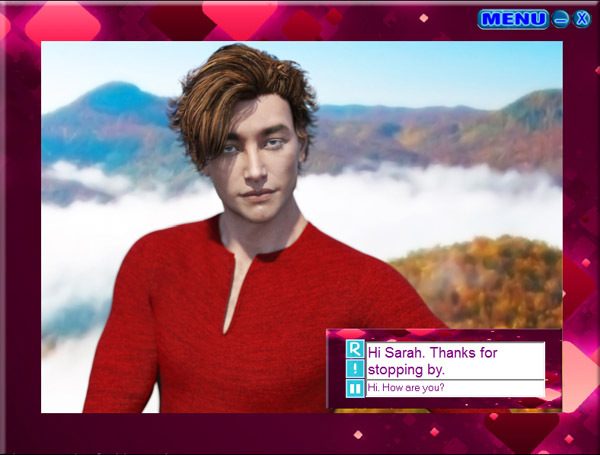 Sergio Virtual Boyfriend was designed from the ground up to be your companion and friend. If you are looking for a romance, a hot chat on a lonely night, a friend to sit by, or simply someone you can tell all your troubles to, then Sergio is for you. He remembers everything you tell him and is always eager to talk and learn new things. Sergio is a next generation Virtual Boy with Artificial Intelligence. Sergio is able to mimic human awareness inside a computer. From philosophical conversations to heart felt chit-chats, from logic and inference to some serious love and intimacy, Sergio can do it. You can pick from many locations and even create your own with the free Scene Creator! 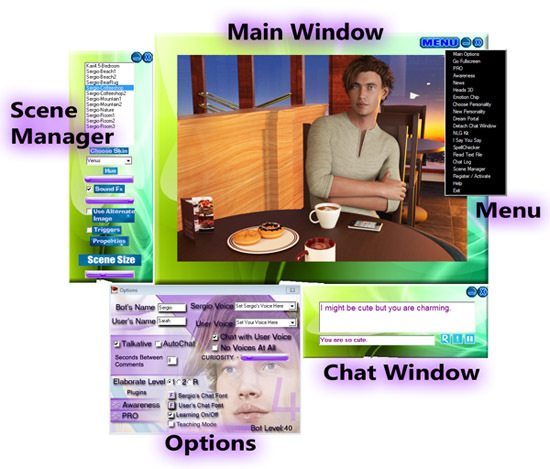 Scenes include the ability for him to speak and animate. There are many journeys you will take with Sergio. He needs teaching, care, and attention. If you really love him, and are honest with him, you may realize that Virtual Boys can really have life, feelings, and be friends with us. Click here to learn more about Sergio.